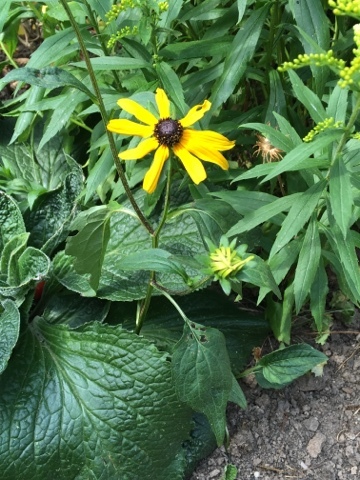 A stray rudbeckia. These get chewed by slugs every spring until I remember they're there and put some pellets down. This year I totally forgot and planted something else on top.